In a former life, when Liberty was used as an active prison, the 1,200 seat chapel was constructed entirely by the inmates. 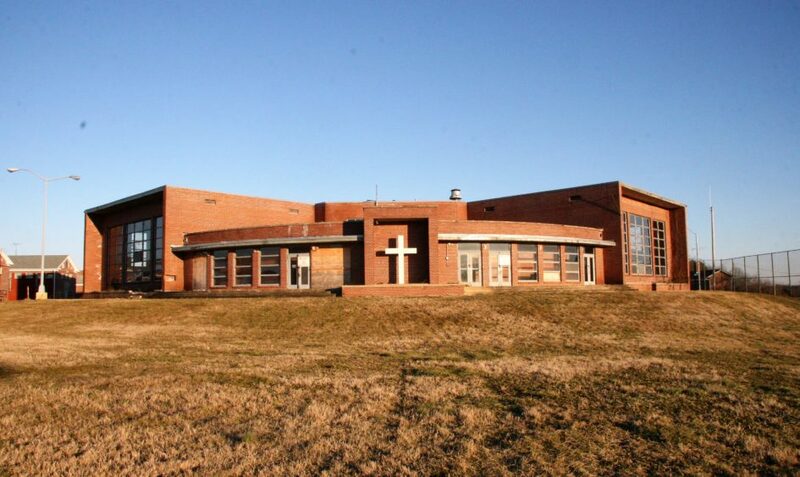 In fact, the architecture of the Liberty Chapel was designed by a former inmate, Farmer Thomas. Thomas, who had a background as an architectural engineer, was serving a sentence for forgery and counterfeiting. 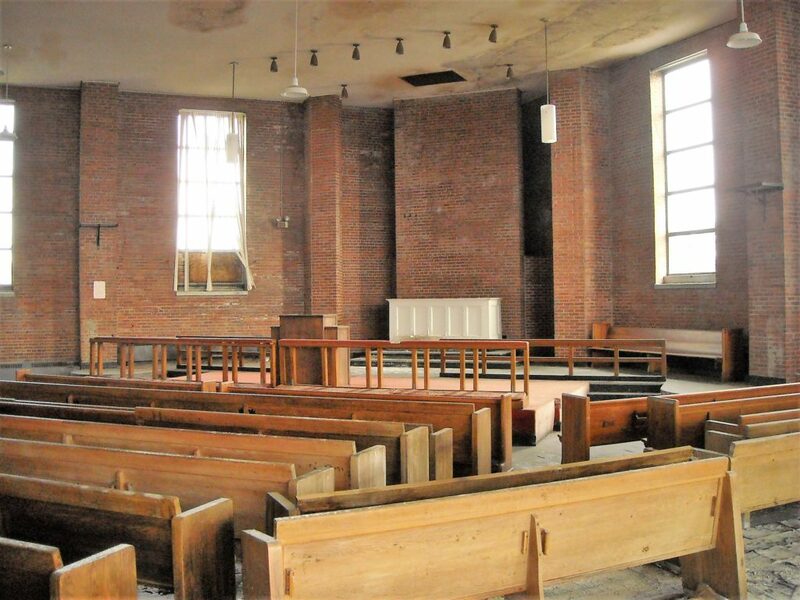 Before: The Liberty Chapel used to hold pews for religious services. The design of the original chapel created three separate but connected spaces to allow for simultaneous services during its use at the reformatory. The original windows of the chapel were stained by members of the congregation using a technique to replicate the look of real stained glass. After: The Liberty Chapel has been restored and the interiors updated for new uses. 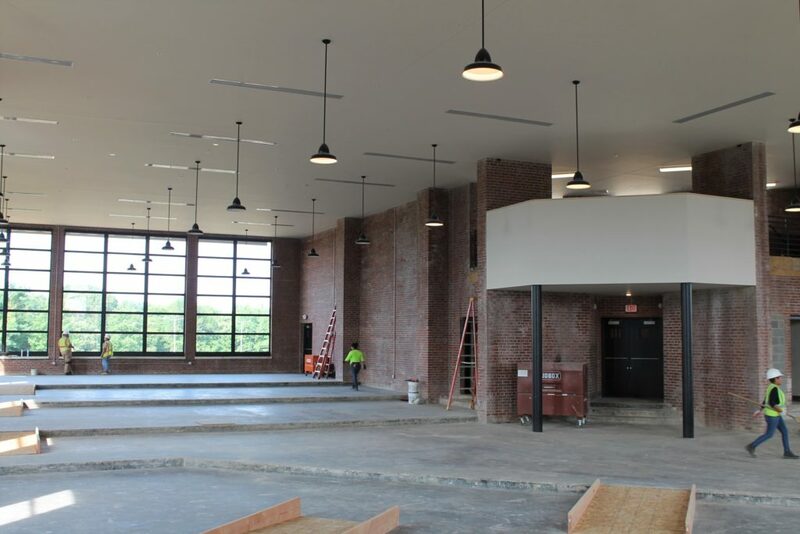 Today, the 20,000+ square foot historic space has been restored and is available for lease. The shape of the building reflects its original design with high ceilings and restored masonry. During the restoration process, the dividing walls were taken out and the pews were removed — to create an open, airy floor plan. The distinctive tall 16-foot chapel windows were replaced and the building received a new roof to finish off its transformation. We welcome interested groups to come for a tour to see the space. The one-of-a-kind space is ideal for a small to medium size religious congregation, daycare, preschool, arts or fitness space. The building is permitted so the end user can design a layout that works for them within the historic design requirements. For more information on leasing the chapel at Liberty, please contact Lynn Fuechsel of Stewart Commercial at (703) 639-6326 or lynn@stewartcrs.com.